Looking at this vase, their is nothing you already don’t know – it’s cut in Sinclaire’s rare and always coveted Snowflake & Holly pattern. 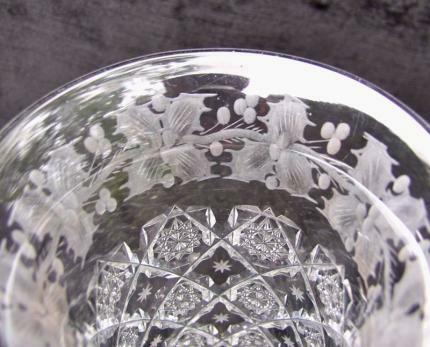 This pattern combines Sinclaire’s best brilliant (the snowflake) cutting along with beautiful engraving (the holly). 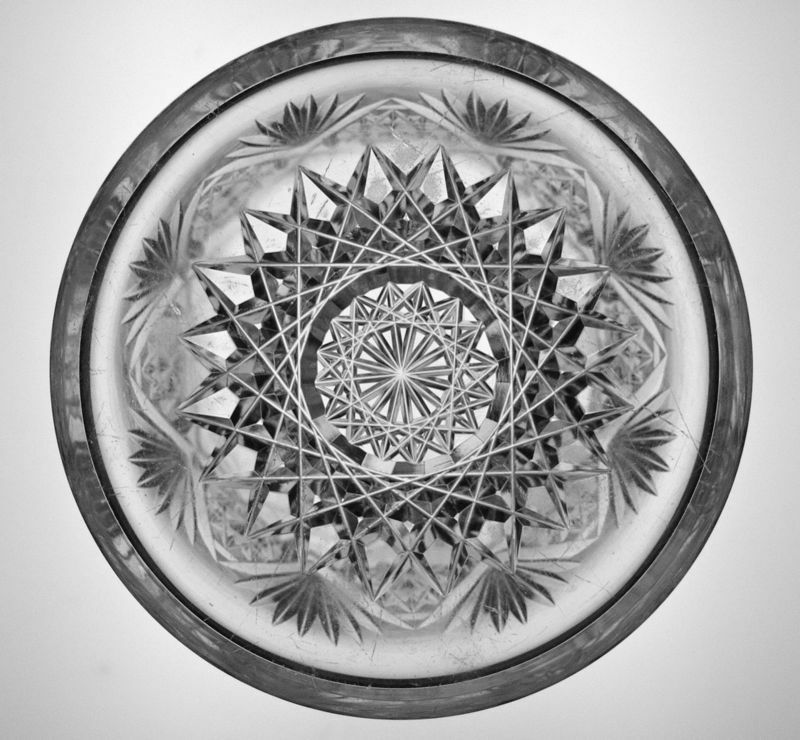 It is signed with the Sinclaire logo – an S inside a wreath. 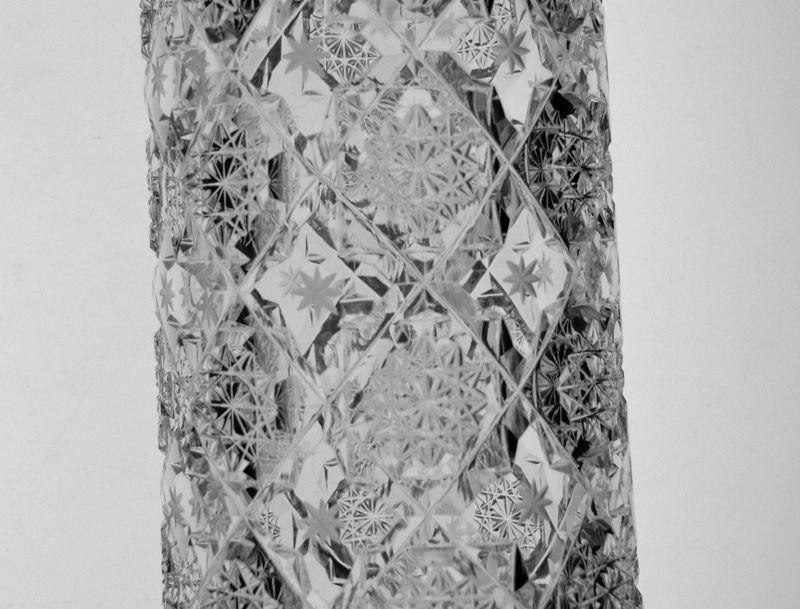 The border of perpetual holly surrounds the top portion of this vase. The detail is wonderful with realistic engraved chains of holly. 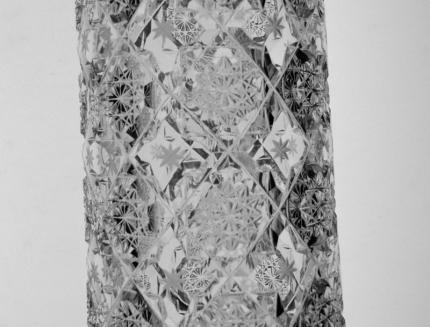 The snowflake cutting is made up of tiny, rich hobstars with clear panels floating in between them with a little unpolished, rayed star in the center. The overall effect is nothing short of stunning! There is fan cutting towards the base which features a 20-point hobstar. 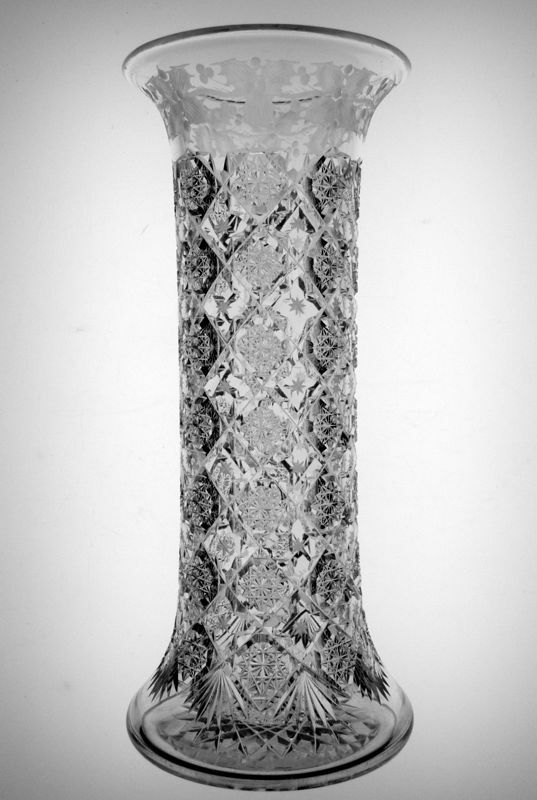 The blank of the vase is nothing short of what you’d want from Sinclaire and highlights the pattern most excellently. 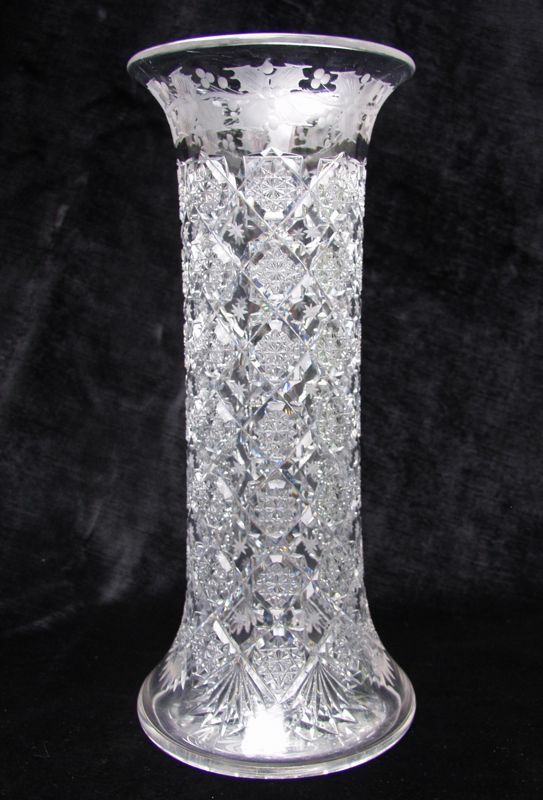 With the exception of some scratches at the base, the vase is in perfect condition and measures 10 1/4″ high 4 1/2″ wide.